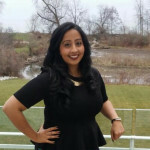 Alisha Pawa is a development coordinator who is passionate about fulfilling the needs of her hospital and community in Peel Region. She is inspired everyday by the great success stories that happen in her workplace. She is a young, courageous and motivated individual who strives to see change in her health care everyday. I have been in fundraising for over five years now. I have worked in small shop organizations with a staff of five, to a larger shop organization with over 55 staff. They all had different goals, different ways of achieving their goals, and different communities to engage with. But, they all share one major theme – valuing and loving their volunteers. So what’s the best ways to keep your volunteers happy and have them coming back year after year? Here are my five best ways to keep your volunteers engaged with your organization and loving you in the long run. Be Prepared – Keep in mind that time is a very valuable commodity, especially if they are volunteering their time to your organization to help support a great cause. Have work organized and assign tasks to each volunteer. If you have ten volunteers, know what you would like for each and every volunteer to be doing before they arrive and let them know how much of their time is expected. Socially Connected – We all know how hard it can be to connect with people who share the same interests as you outside of work. Remember that your volunteers are looking to meet others with similar interests as theirs. Create an opportunity for volunteers to get to know one another and learn what type of volunteer opportunities they are interested in and organize them in the same groups., Allow them to build and foster relationships overtime. Accessible – When volunteers show up to your organization or event, it’s best to be accessible at all times for when they have any questions, concerns, etc. You may have prepared them once they arrive, but if it is their first time volunteering, there are likely to be questions that need answering. If volunteers don’t approach you, it’s always a good habit to check up on them to see if everything is going well on their end, as busy as you may be. Remember, checking is caring! Share the cause – Let your volunteers know they are supporting the cause and making a difference. Tell them real life success stories about clients or programs, along with updates on progress towards achieving a goal. Or have the volunteers share any inspiring and successful stories that your organization may have had on them and why they chose to support your organization. You can use this to invite them into the office to learn more about how your organization functions on day – to – day. Feeling of appreciation – For a volunteer, it is extremely important to understand how much you appreciate and value their commitment to your organization. It is very important for an organization to express appreciation at every opportunity. This may be during the first interaction, during the volunteer role, before the volunteer role ends, etc. You want them to understand that they make a difference and you would like them to continue volunteering with you. The great benefit of keeping your volunteers happy is that they will continue supporting your organization – whether with their time, money or other resources and ultimately they support the same cause that you do everyday.